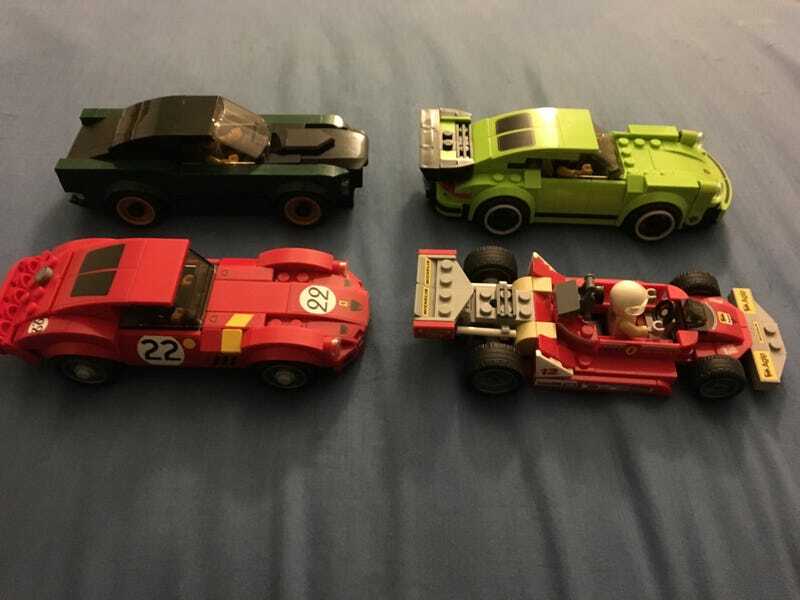 I think LEGO is trying to appeal to gearheads as well as kids with Speed Champions. This is why I said this. 2016 had two classics: a modded Camaro and the 917K. 2017 only had one, but it was a very nice one because GT40. This year? Four. Your average person is likely not going to know what a 930 Turbo is, or what a 250 GTO, and especially what a 312 T4 is. True gearheads, on the other hand, most likely will. Maybe not so much the 312 if they aren’t big on Formula One, but definitely the others. Heck, I could say the same about some of the modern cars, like the Porsche 919 Hybrid, or even the Bugatti Chiron and McLaren 720S. The sets are simple enough for kids to build and play with them, but when automobile websites have written articles and news stories about the theme, you have to wonder if LEGO’s actual target are gearheads, and many gearheads do have kids and even grandkids.